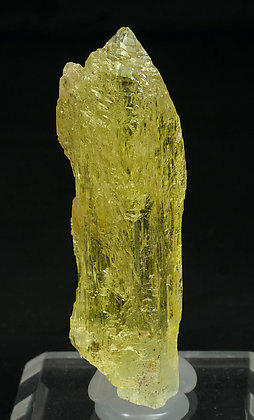 This is a floater, doubly terminated, very gemmy, and a pleasant golden color, as one would hope for in a Heliodor Beryl. Simply perfect. Madagascar is a pegmatite rich country. 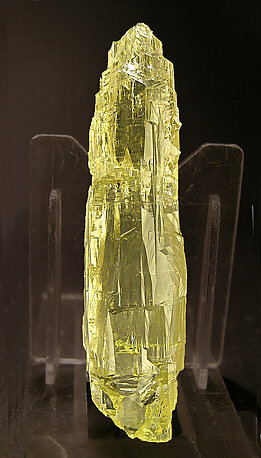 From this richness once in a while they find some of the best Heliodor Beryls in the world. The form is perfect and the intense golden color makes them among the best known. We have managed to obtain an extraordinary specimen: doubly terminated, a floater, gem, damage free, and as you can see in the photo with a fabulous color. A gem mineral collector's dream! Nice natural golden color in this Brazilian heliodor. 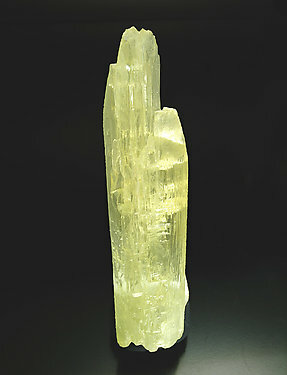 Quite transparent as it is not that thick, which is almost certainly the reason for which it was not cut and can be offered as a collector's specimen. 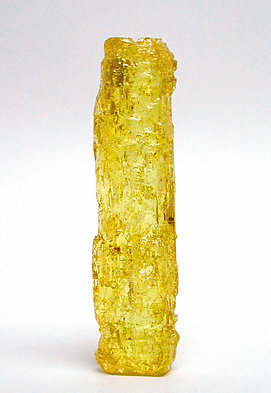 Transparent and bright floater crystal with intense yellow color and showing the typical etched surfaces rich in very well defined dissolution forms. 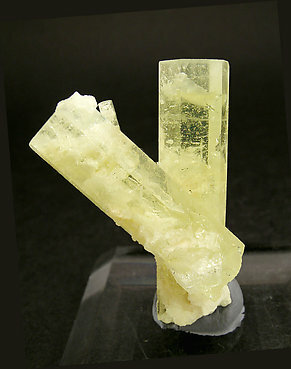 Two prismatic crystals with well-defined faces and edges, of very good color, on a small matrix of Albite. On the tips there is very clear zonation of color, going to near colorless. Very esthetic.